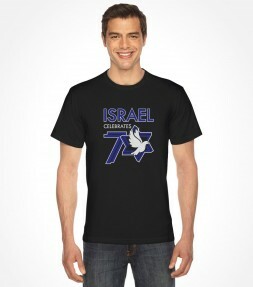 Wear this special Yom Haatzmaut shirt with the words "70th Independence Day" in both Hebrew and English to spread your pride and support in in state of Israel. 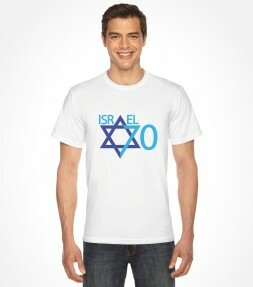 Support Israel on her 70th Independence Day celebration with Star of David shirt. 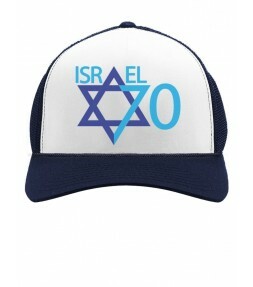 Wear this special 70th Independence Day edition Israel Hat to spread your pride and faith in the State of Israel when you stroll around. Show your pride and support for Israel by wearing this shirt with the words "Israel Celebrates 70" on Israels 70th Haatzmaut celebration.